Every year, the Gothenburg Museum of Art lends over a hundred works from its collection to museums in Sweden and abroad. Thanks to a large network of contacts with other museums, the Gothenburg Museum of Art can share its collection with a broader audience and at the same time attract art lovers to Gothenburg. 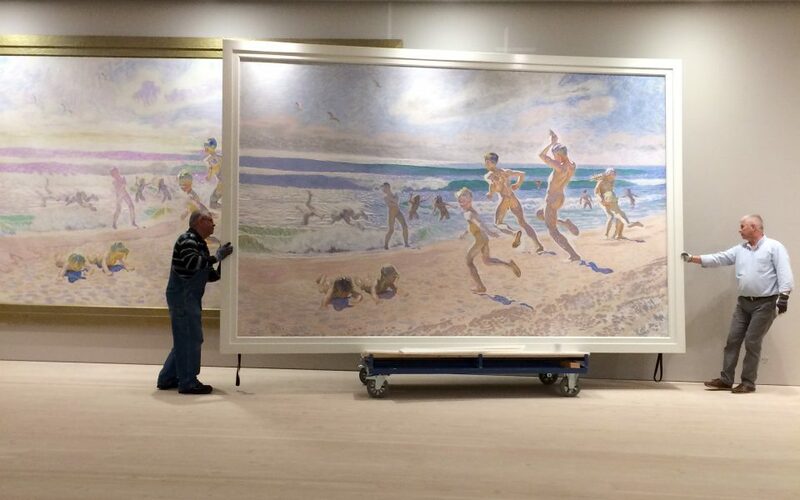 The collaboration with international museums also makes it possible to borrow artworks from museums around the world and show them to the inhabitants of Gothenburg and other visitors to the museum. Many of the artworks in the collection have travelled all over the world, from Paris and London to Tokyo and New York. Standard facility reports (security and climate reports) for museums that are borrowing artworks from the museum’s collection for the first time. The fee for administration is currently 1 000 SEK per artwork within Sweden, and 2 000 SEK per artwork for international loans. Over and above are added costs for packing, and a crate if necessary. The borrower covers all costs directly connected to the loan. The museum aims to process incoming loan applications as quickly as possible. However, for various reasons there is sometimes a delay of a few months before the museum can give a definite answer to an application. Loan meetings take place around ten times per year. In general, the Gothenburg Museum of Art takes a positive view on applications regarding large monographic exhibitions, or thematic exhibitions that generate new knowledge in the field of art history. For more information, see the pdf-document Conditions for Loans from the Collection of the Gothenburg Museum of Art.